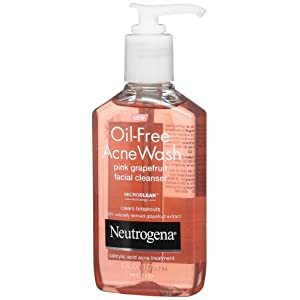 Get rid of oil and dirt and clear breakouts in one step with Neutrogena Oil-Free Acne Wash Pink Grapefruit Cream Cleanser. This cream cleanser is a rich, creamy lather that rinses away dirt, oil, and makeup while powerfully clearing blemishes and blackheads. 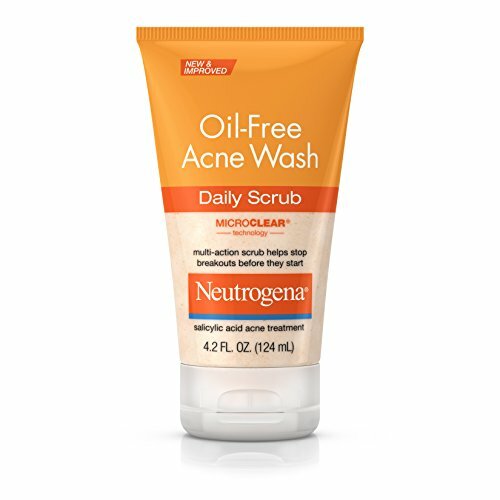 The oil-free acne wash is formulated with Micro-Clear, a technology proven to cut through oil to boost the delivery of acne medicine straight to the source of breakouts. 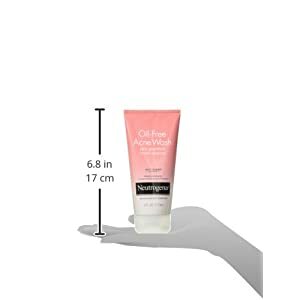 With an uplifting blast of grapefruit plus vitamin C, Neutrogena Oil-Free Acne Wash Pink Grapefruit Cream Cleanser eliminates oil and dirt without over-drying or irritation for clearer, healthy-looking skin. The #1 dermatologist recommended acne-fighting cleanser-Neutrogena Oil-Free Acne Wash now comes with an uplifting blast of pink grapefruit! 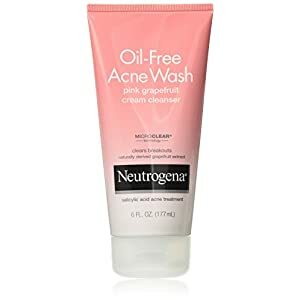 With maximum strength Salicylic Acid acne medicine boosted by MicroClear technology, Neutrogena Oil-Free Acne Wash Pink Grapefruit Facial Wash powerfully treats and helps prevent breakouts ;even blackheads. 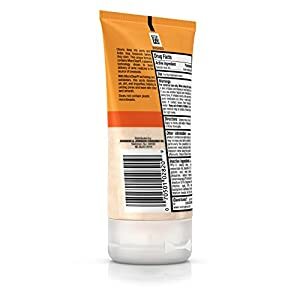 This unique formula contains 100% naturally derived grapefruit extract plus vitamin C. It eliminates oil and dirt, and rinses clean without over-drying.